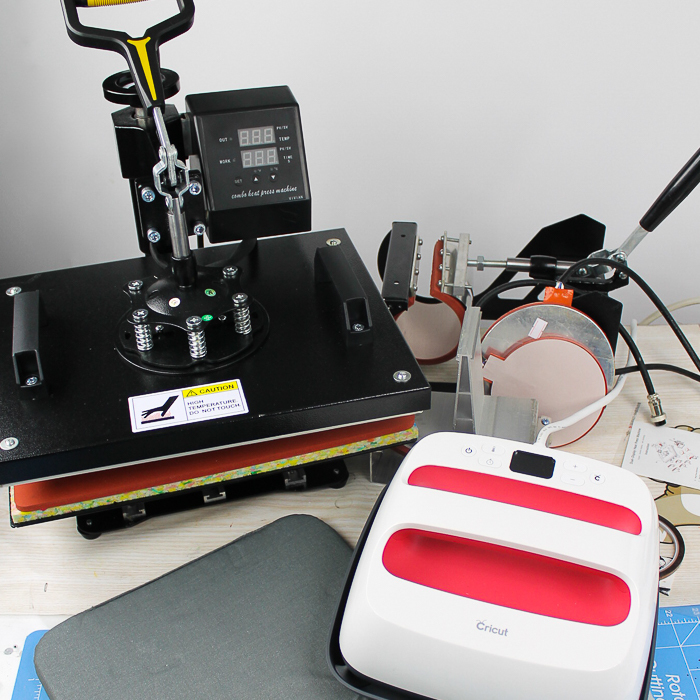 You are here: Home » craft cutter » Heat Press Versus EasyPress: Which One Do You Need? 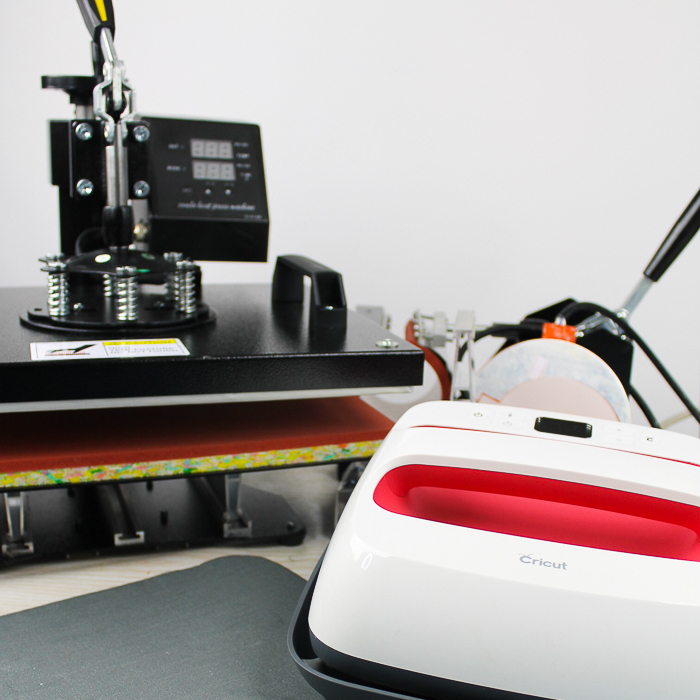 Heat Press Versus EasyPress: Which One Do You Need? Heat press versus EasyPress. What are the differences? Which one do you need for your crafting needs? We are here to answer all of those questions and more. If you are looking to add one of these to your holiday gift list, let us help you make a very important decision! Will the Cricut EasyPress do everything you need or do you need to go larger with a full sized heat press? Read on to find out. The items used in this comparison were given to me free of charge, however, all projects and opinions are my own. How do you use a heat press? First, how does a heat press actually work? I shared a post on the heat press operation here. This includes pressing shirts, plates, mugs, and hats. It also includes a video so you can actually see the heat press operating. You might start there if you are wondering about the heat press itself. What is the Cricut EasyPress and which will we use? You can read a little more about the EasyPress versus EasyPress 2 in this post. That post also has a video of the EasyPress in action so be sure to watch it if you haven’t heard about the EasyPress at all. We will use the EasyPress 2 in a couple of different sizes for the projects that we are going to make for this comparison. 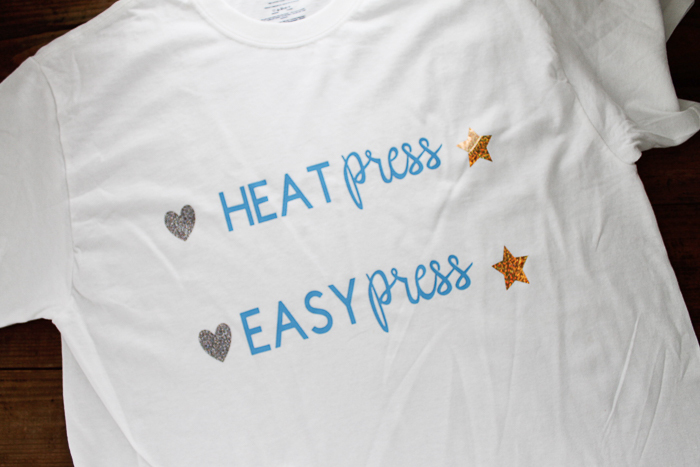 Want to learn all about the differences between the heat press and the Cricut EasyPress in a video? Just watch below. I thought a video might be a great way to show the differences. If you can’t watch the video or missed some of the information, you can just follow along below as I explain in all. The heat press is significantly larger than the EasyPress. 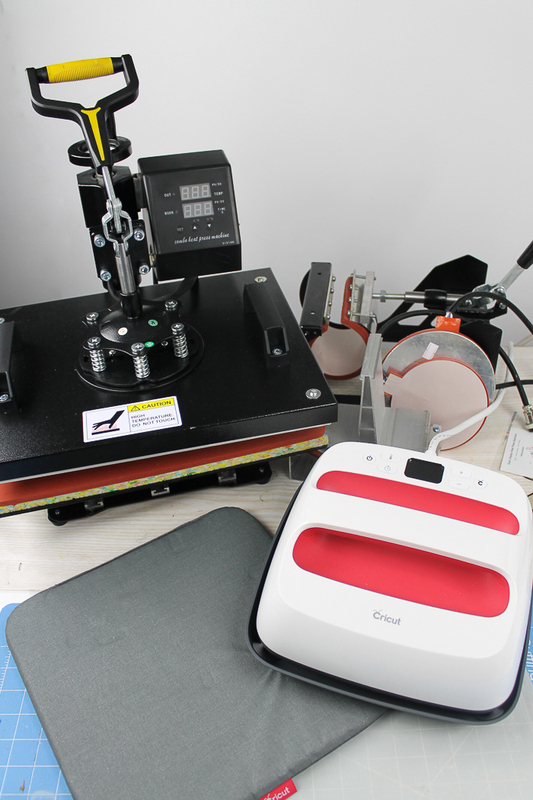 The heat press weighs almost 40 pounds with accessories. The largest EasyPress weighs 8.6 pounds and they get lighter from there. You will need a significant amount of room to store and even operate a heat press. The EasyPress takes less space. The heat press is not very portable whereas the EasyPress is great for crafting on the go. You will need accessories and attachments for the heat press to do things like mugs, plates, etc. The only thing you may need for the EasyPress is the EasyPress mat. The heat press gets HOT even on the external surfaces. I would definitely use caution when using this machine and do not use it with small children around. The EasyPress gets hot on the pressing surface but the outside and the base stay fairly cool making it a little safer, in my opinion. The heat press takes a LONG time to cool down. This can be time-consuming when you need to change over for different types of accessories. Now, comparing the heat press versus EasyPress, I thought it would be a good idea to make a wide variety of projects as well. First, of course, is shirts. It is easy to make a shirt with either one. I found that both did an equal job. I actually made the shirt below pressing the upper design with the heat press and the lower one with the Cricut EasyPress. Then I washed it a few times and even ran it through the dryer. There was no noticeable difference between the applications. I think you will be fine with either machine for pressing shirts. 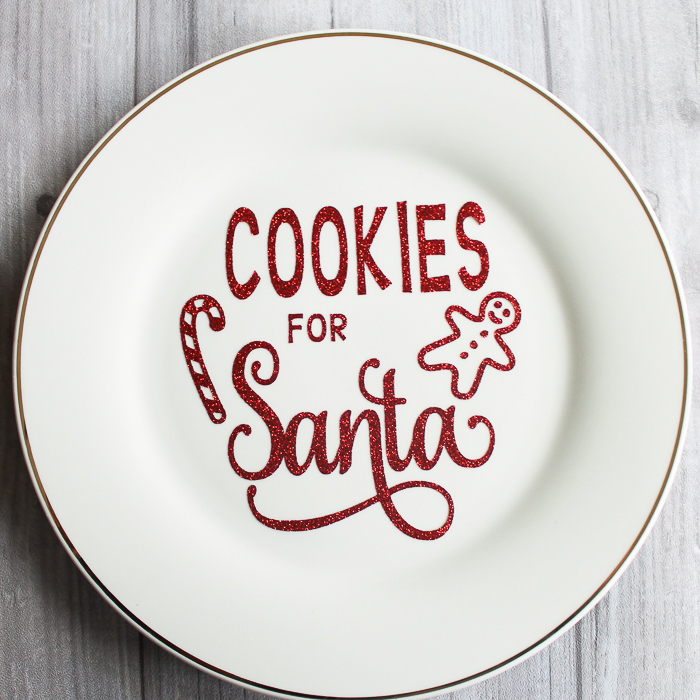 You can also add iron-on material to plates. 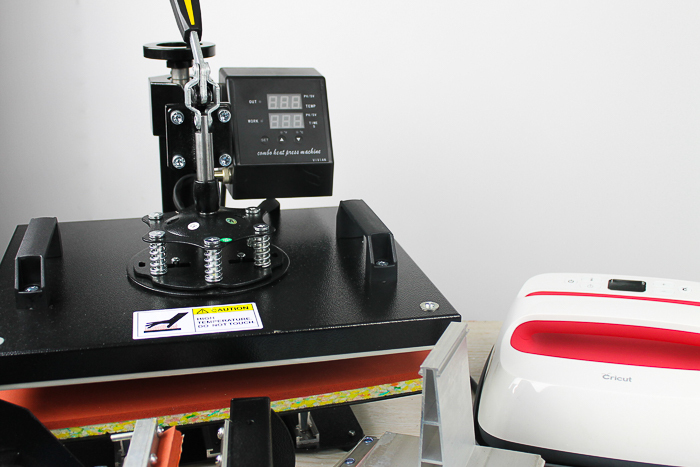 The heat press can be changed over and you can add a round plate press in a variety of sizes to the top. You can then place your heat treat vinyl in the center of your plate and press. My design was slightly larger than the actual hot surface on the press so I had to press several times moving the plate around with each press. However, after a few presses, I did make a plate successfully. You can get the design for this plate by clicking here if you would like it. 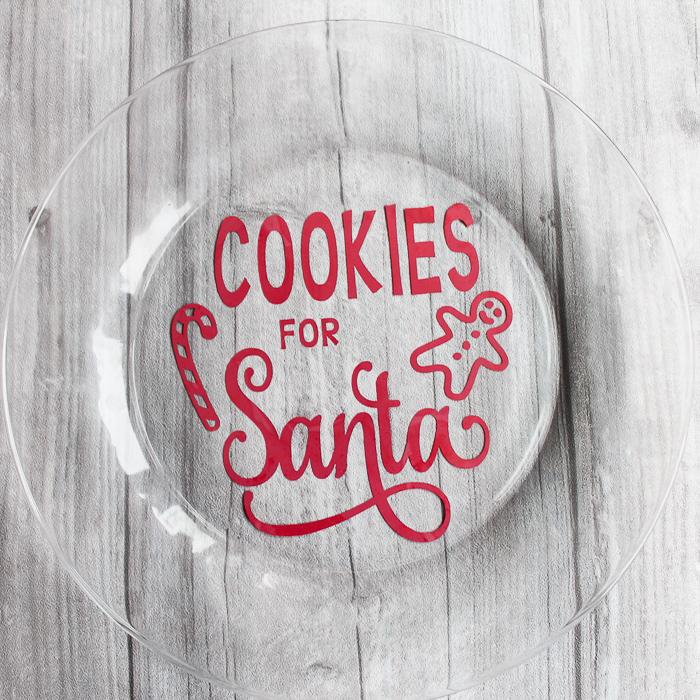 Now, can you add heat treat vinyl to a plate using the Cricut EasyPress? Yes, you can! You just need to get creative. The EasyPress itself is square so it would be impossible to put it inside a round plate. But you can press on the BACK of a plate. When you cut your iron-on, do not mirror the design. Then just press the iron-on to the back and you can read your design correctly through a clear plate. The verdict is that either machine will press a plate but if you want your design on the FRONT of plates, the heat press is going to be the way to go. Want to make clear plates with the design on the back? Your Cricut EasyPress will do a great job for you! We can’t talk about the heat press versus EasyPress without pressing some hats. I picked a simple design to put on a few hats. The heat press came with a hat press and I changed out both the upper and lower plate to the hat version. It did a great job on the hats as the press is curved and works perfectly. I tried a few different methods with my EasyPress and never did get a good press. 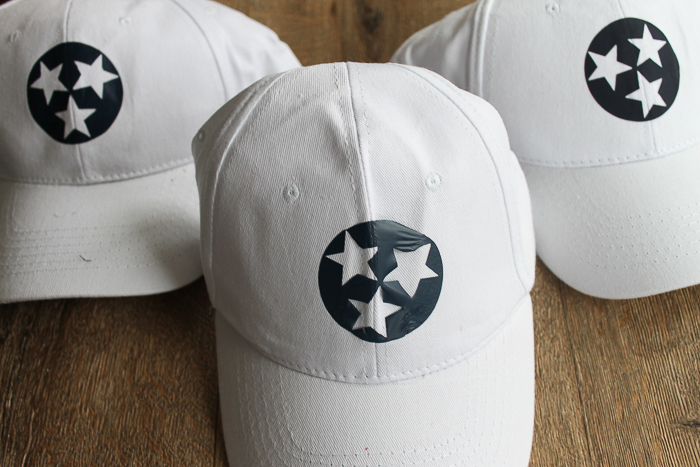 The center hat below is one pressed with the Cricut EasyPress. The flat surface of that machine just did not work well with the curved hat. So, if you want to make hats, the heat press is the machine for you. I am researching a less expensive alternative for pressing hats for those that are interested. I will be doing a post on that soon! Mugs? 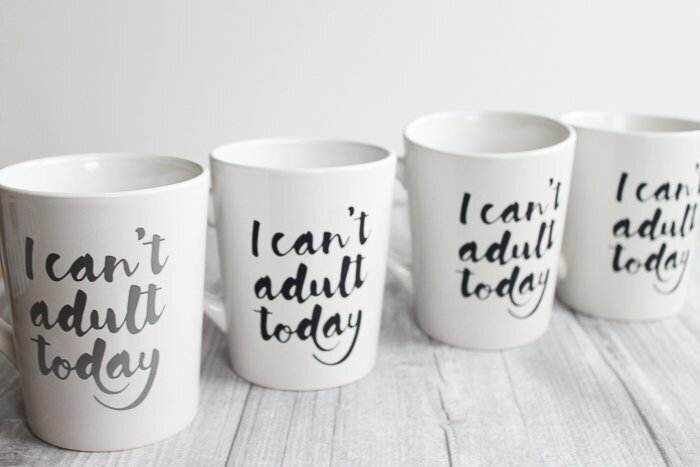 Yes, mugs! You can add iron-on to those as well. The heat press I have came with one mug attachment. You can actually purchase a wide variety of these for different types of mugs. I just made mine work with the mugs I had by doing multiple presses. I also did multiple presses with the EasyPress while protecting my hand from the heat. In both cases, the heat treat vinyl seemed to adhere fine to the mugs. I will be doing some more experiments with mugs soon so y’all stay tuned! The verdict is in….and it all depends on what you need! If you are a crafter who just wants to make a few shirts as gifts occasionally and maybe experiment with iron-on on a few other surfaces, the Cricut EasyPress is the way to go hands down. If you make shirts and more in higher productions to sell, I would recommend a heat press. Want to press a lot of hats? You will need a heat press. Making plates? If you want your iron-on on the front, the heat press is the way to go. Want to press it to the back of a clear plate? The Cricut EasyPress will work great. If you want to press mugs, either will work. Remember that with the heat press you will need an attachment for each type of mug and a place to store those. Love to craft on the go? For portability needs, the Cricut EasyPress is the only way to go! So, which is the right machine for your needs? Where to buy your machine? Now that you have an idea of what machine is right for you, where do you buy one? You can use my affiliate links below if you wish. These are links where I earn a commission from any purchase but you do not pay any more. 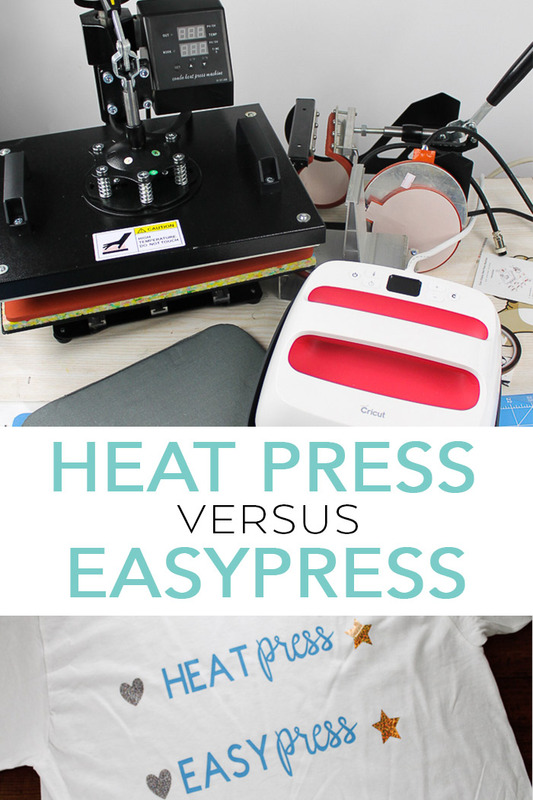 So, I hope this comparison of a heat press versus EasyPress has helped you decide which of these machines is right for you. Now that you know which of these to add to your holiday wish list, which will be under your tree?